How Does a NASCAR Pit Crew Relate to Your Business Team? One of our newest content partners, Advanced Knowledge, supplies us with training courses that show real-life events for attention-grabbing training comprehension. Offered at BusinessTrainingPower.com, Advanced Knowledge courses are a great addition to business skills training at your organization. 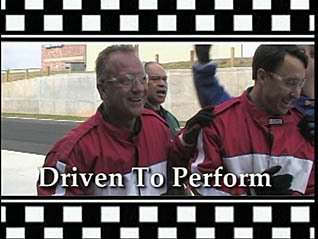 The course, “Team Building: Pit Crew Challenge: Driven to Perform,” uses NASCAR pit crew examples for effectively displaying teamwork and communication during high-stress situations. Throughout the video, learners realize what is needed for teams to perform as a high-performing crew, what distinguishes successful teams, and how they are built. Using NASCAR pit crew examples are extremely effectively in making team members realize that you may begin to recognize strengths in others you have never noticed before. It also helps to appreciate that the team may use other members in ways that have never been thought of before; reaching out and collaborating with each other, without hesitation, is healthy for the team and helps to decipher what will work for them. After using this course, you may be surprised at just how much a business organization team can learn from a NASCAR pit crew. This entry was posted in Business Skills Training, Workplace Training and tagged business skills training, nascar and team building, team building, teamwork. Bookmark the permalink.